The city is seeking appraisals for two of the four properties listed as priorities on the 2018 land management plan. Boulder City This map shows three of the four parcels on the land management plan that city officials have identified for possible sale or lease in 2018. All have either been approved by voters or are less than 1 acre. Celia Shortt Goodyear/Boulder City Review Mayor Rod Woodbury addresses the audience at Tuesday's City Council meeting. The first parcel is the site of the old animal shelter at 1390 San Felipe Drive. It is approximately 2.2 acres and approved for residential use. The second parcel is south of the dry lake bed in the Eldorado Valley. It is approximately 276 acres and approved for solar energy development. It is a remnant of a solar lease by Korean Midland Power, which sold it to Sun Power. Council unanimously approved seeking an appraisal for the land in the dry lake bed. Council approved getting the appraisal for the site of the old animal shelter site 4-1 with Councilman Kiernan McManus voting against it. Council members also heard a presentation on the other two priorities in the 2018 land management plan. Community Development Director Michael Mays said staff identified two parcels that are either approved for sale or less than an acre in size, and could be considered for a lease. 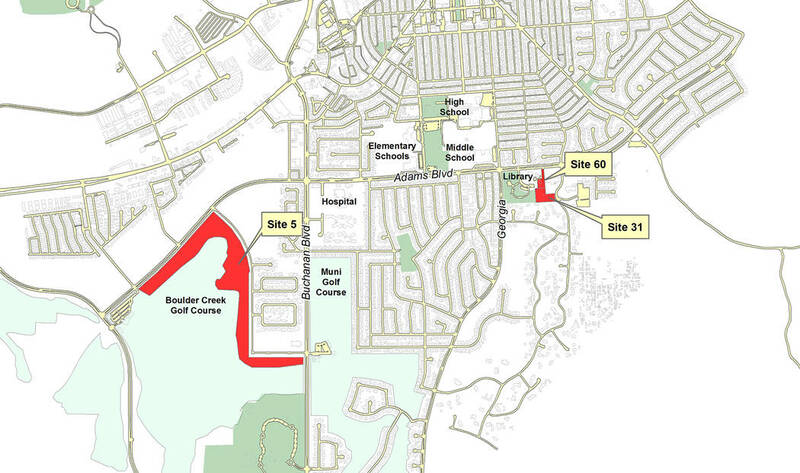 Site 5 is on Bristlecone Drive, south of Adams Boulevard. It is approximately 40 acres and has been approved for low-density residential development. Mays said the city has not received any requests for proposals on the property and wanted staff to re-evaluate it and possibly sell it in phases. Site 60 is approximately .9 acres and was the site of the former Boys and Girls Club. It is approved for residential use and staff has received several inquiries about purchasing the property. Several residents expressed their concerns with selling the parcel. George Wentz told council that land is the only place for the library and ABC park to expand. “I don’t want to rush to get rid of it,” he said. Glenn Feyen agreed with not rushing and said that in the long-term it may be better to keep it. Tom Clements said that the city should be cautious in selling it, especially with the ABC Park being a possible site for the new pool. Council took no action with those two pieces of land. At Tuesday’s meeting, council also heard an update on two several of ballot questions for the November election. One question dealt with asking the voters whether they wanted a utility commission to be created. Dale Napier asked the council not put it on the ballot rather just approve a resolution to create it. Councilman Warren Harhay said that he thought there was enough interest to create the commission quickly, and they could have it operating by the summer. “I think people would much prefer that then waiting to July 2019,” he said. He moved to have a resolution drafted creating utility commission that will come back before the council at its Feb. 27 meeting. Council unanimously approved the motion. 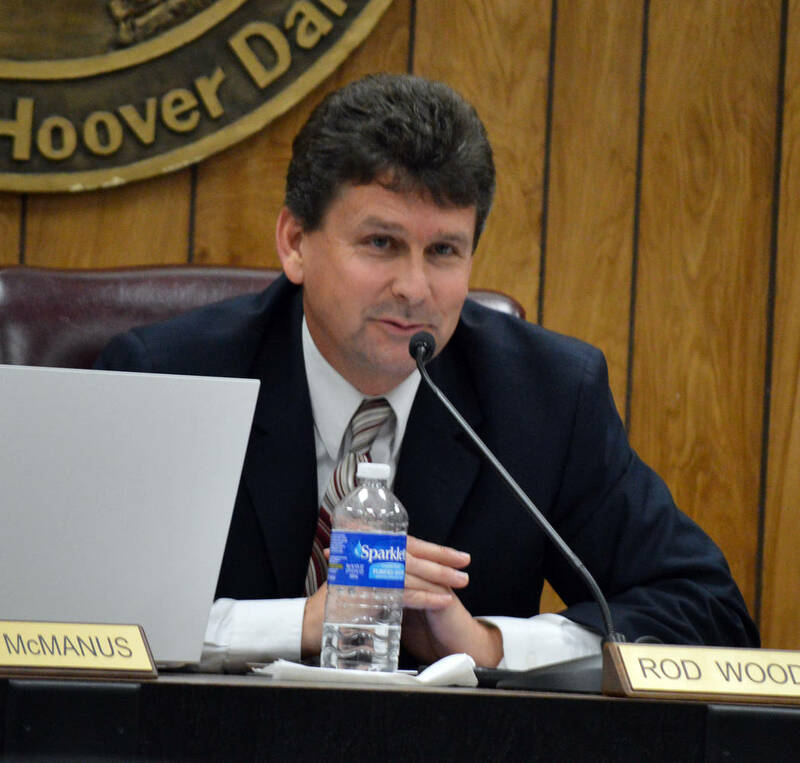 With the proposed ballot question that would allow the city to refinance its debt for savings, Acting City Attorney Steve Morris said that he reached out to the bond counsel, who was assisting with it. He expected to have the question for council at the Feb. 27 meeting. ■ Appointed Clements to the Planning Commission. ■ Reappointed Kurt Goodfellow and Andrew Huxford to the Airport Advisory Committee in a unanimous vote. They also appointed Kenneth M. Lauer to the committee. ■ Reappointed Carlene Voerding, Harold Critcher and David Weir to the Golf Course Green Committee. ■ Appointed Bill Bruninga to the Charter Commission. ■ Reappointed Jason Gross to the Regional Flood Control District Citizens Advisory Committee. ■ Approved a contract renewal between the city and Praxis Aerospace Concepts International LLC for professional consulting services in regards to unmanned aerial systems.